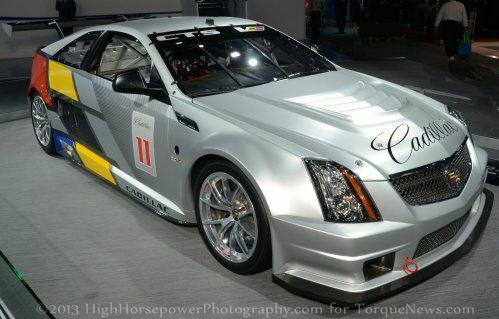 When it was learned last year that the Cadillac CTS would be redesigned for 2014, it was widely expected that the lower volume CTS Coupe and CTS Sport Wagon would not be returning but rumors have surfaced that the next generation 2-door CTS Coupe could be in the works. Even though Cadillac has produced a great many popular sport utility vehicles, coupes, convertibles and even a pickup or two – General Motors’ luxury brand has become best known for its high end sedans led by the uber popular CTS. In the past few decades, there have only been a handful of Caddy coupes and there hasn’t been a recent model year with two coupes in the lineup so when the incredible new Chevy Volt-based Cadillac ELR was introduced in Detroit – it seemingly sealed the fate of the CTS Coupe. The ELR is only a bit smaller than the current CTS Coupe so having a new CTS parked alongside the ELR in Cadillac dealerships creates some redundancy that automakers today try to avoid. However, the 2014 Cadillac CTS sedan is bigger than the current (2013) sedan so it would be reasonable for the new CTS Coupe to also be larger. That would allow the 2014 or 2015 CTS Coupe to offer more rear seating and trunk space than the ELR while also offering a traditional gasoline drivetrain rather than the Voltec extended range electric drivetrain of the ELR. A 2015 Cadillac CTS Coupe that is larger than the current CTS Coupe but smaller than the 2014 CTS sedan, offering the same 2.0L turbocharged 4-cyinder and the naturally aspirated 3.6L V6 would land in a very different market segment than the ELR so there would be very little actual competition between the two. Also, we can expect that the ELR will be fairly expensive where a 3.6L V6 powered 2015 CTS Coupe could appeal to prospective Caddy 2-door buyers who are happy to trade the electric drivetrain for a lower MSRP. When introduced, the Cadillac CTS Coupe presented a more affordable way for new Caddy owners to get into the brand than any other vehicle as the 2-door model was slightly less expensive than the CTS sedan. This low price entry is one of the key factors in the popularity of the Cadillac SRX sport utility vehicle but with the introduction of the new compact ATS sedan, the CTS Coupe is far from the least expensive option in the Caddy lineup. However, the CTS Coupe owners extend well beyond those looking for an inexpensive luxury car as there are a great many luxury car buyers out there who want the sporty lines of a 2-door coupe. Without the CTS Coupe, those buyers can either pay a hefty premium for the Volt-powered ELR but if they don’t want the electric Caddy with extended range capabilities – there is no option for those luxury buyers who want a coupe. GM may suggest (or hope) that those who are unable to buy a CTS Coupe will turn to the 2014 Chevrolet Corvette and while that might be a great solution for go-fast fans who want a luxury 2-door, the CTS Coupe buyer who wants an efficient, inexpensive luxury coupe is left with no option in the Cadillac lineup. A romantic thought would be that the 2015 Cadillac CTS would bear the exterior design of the 2014 CTS Sedan but it would ride on the smaller Chevrolet Camaro platform. This would make the CTS Coupe bigger than both the ELR and the current CTS Coupe while the use of an existing platform (or one currently under development like the next generation Camaro) would cut down on the development costs of the new Caddy coupe. Of course, the 2015 CTS Coupe based on the Camaro could also benefit from the same 3.6L V6 that is found in the current CTS lineup and the 2014 CTS Sedan. A CTS Coupe based on the Camaro platform would also allow GM to roll out a convertible version and it has been a while since the Boss Hogg’s of the world could buy a new Caddy ragtop. Of course, this is just me dreaming and the likelihood of a Camaro based CTS Coupe is no more realistic than any other piece of rumors based speculation – but it sure sounds like a fine idea for a future 2-door Cadillac. Unfortunately, the current rumor mill doesn’t seem to hold a very bright future for the low slung Cadillac CTS Sport Wagon. It seems like the larger, more angular 2014 CTS Sedan would make for a fitting base for the next generation CTS wagon, the reports from last year that claimed that the Sport Wagon was dead don’t seem to have been refuted by anyone significant. Luckily, the 2013 CTS Sport Wagon is still available at dealerships around the country so if you want one of these sinister looking grocery getters – you might want to act fast as there may not be another one coming for a while.